The experiences practiced in multisensory learning allow each student to participate in ways that help them understand and retain best. Boys and girls learn together and help each other with projects such as making Native American accesories, playing a Native American spear game, having discussions about the story, historical information, as well as positive character traits such as bravery, selflessness, etc. .
Field trips can include an authentic Pow Wow or a tour of a fish hatchery. 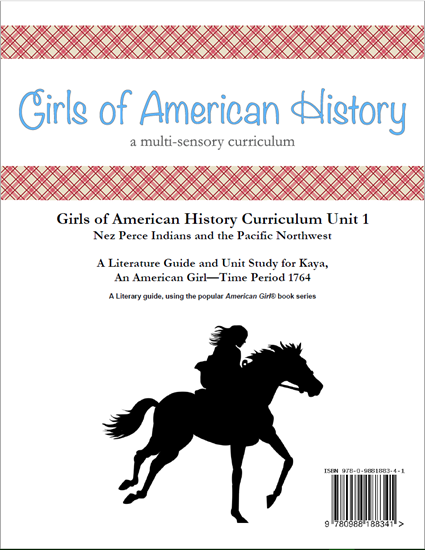 This six week unit study using the American Girl® Kaya® series books is great for doing school in a large class setting, or a smaller co-op environment. Have a class Pow Wow at the end of the unit!